This 32 gallon receptacle features a “stay-closed” swing top lid and an easy to clean liner that eliminates the need for expensive trash bags. Constructed of commercial grade plastic made in the USA that will not peel, rust, rot, or splinter, making it safe for schools and playgrounds. 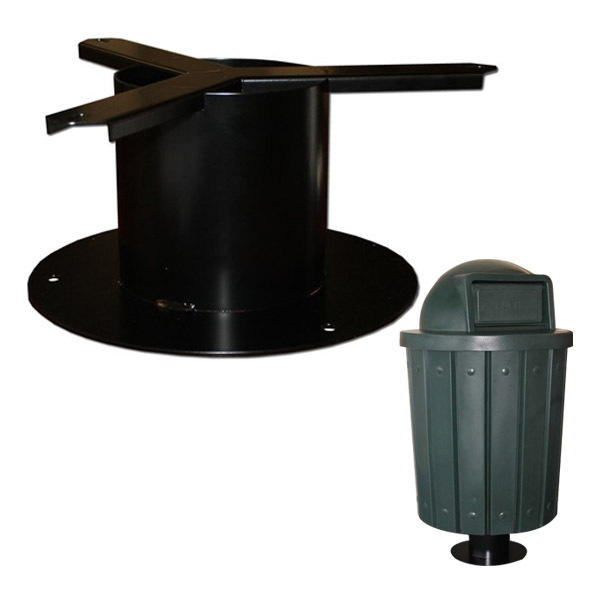 See our optional pedestal for mounting this trash can to concrete to prevent vandalism and add stability.